There are different things to be said for different approaches to colour, but the essential key for me in developing a palette of hand knitting shades (especially those that are likely to be used in colourwork designs) is tonal consonancy. When developing Buachaille, I aimed for a similar tone across all the different shades. This meant that any individual colour of like value might be swapped out and replaced with another, depending on knitterly preferences (so when a knitter like Helen picks up on the fact that all the shades in the Buachaille palette work well together it makes me very happy!). With Milarrochy tweed, I wanted a similar tonal consonancy (but a different tone, as it were) and my other principal aim in developing the palette was to achieve an overall balance between deep, middling, and light shades. Along the top row, are four deep shades, along the middle, four of middle value, and along the bottom, four light colours. You’ll also see some similar shades of different value (which might enable a knitter to develop their own tonal gradients across the range) and several high-contrasting shades — also important when working with several colours. I’ve also selected three “true” neutrals, and several of what I think of as “really useful” shades that, when used in stranded colourwork, can have much the same effect as a true neutral (cooling down or warming up a pattern when used as a background shade) as well as fulfilling roles as bold, contrasting shades in their own right. So what, then, are my twelve shades? First up is Hirst. A creamy, warm, pale neutral with flecks of lighter hue, Hirst is a Scots word for the rough, white-ish shingle you often see at the summit of a rocky hill or mountain. Its a word associated with several local place names (Brocklehirst, Ferniehirst), and, having been at the top of countless shingly Scottish hills, is a very evocative term for me. Next is Birkin which in Scots means birch, or birchy (as in, a birkin grove). If you are acquainted with what the bark of a birch tree looks like you’ll immediately see the associations with this shade. There are flecks of lighter and darker hue, and surprising yellowish pops, which to me are suggestive of lichen. This is Smirr which in Scots means mist or drizzle. In these parts, smirr is often silvery-blue and hazy, just like this delicious shade, whose complexity is further highlighted by flecks of darker blue and cream. I named this shade Stockiemuir after a well-known stretch of common land near our home, which, for those used to travelling out of Glasgow by road, may also be the name they associate with their journey to Loch Lomond or the Trossachs. Muir means moor, of course, and stockie points to the fact that the land was once used for common grazing. In spring, the Stockiemuir suddenly bursts into to life in just this shade of green: the vibrant colour of fresh, young, new growth. This colour is Campion a word with obvious associations with soft pink flowers of both wild and garden varieties. But I was also going through a Margery Allingham phase at the same time that I was devising the palette, and like to think that this shade (one of my favourites) is also named for her detective, Albert Campion. Garth is a word for a small area of cultivated ground, and this lovely comforting, mid-toned green, with its flecks of brighter green and blue, is the shade of summer growth to me, of vegetable patches and allotments. This pleasing rusty shade, enlivened with scarlet and golden neps, is named Buckthorn after the vitamin-rich orange berries of the hardy, thorny plant that grows around many areas of the Scottish coastline. Ardlui is a tiny hamlet at the head of Loch Lomond, and I named this shade after it because I find the light there, by the water, is quite frequently this weird, soft, complicated shade of blue. To me, this deep rich brown shade of tweed, its bright flecks like leaves in the water, is exactly the shade of Hopkins’ Inversnaid. This dark, enveloping blue with its inviting paler flecks is named Lochan because it suggests a deep, small pool. . . While this rich, complex, hazy purple is Gloamin‘, the colour of twilight. (If you can’t stand Harry Lauder look away now ). Bruce (the dog) is black with white-ish fleck across his chest . . . and Bruce (the yarn shade) has similar but more numerous white-ish flecks. So my Milarrochy Tweed shades are: Hirst, Birkin, Smirr, Stockiemuir, Campion, Garth, Buckthorn, Ardlui, Horseback Brown, Gloamin,’ Lochan . . . and Bruce! Finally, a quick word about the blend of fibres we selected: 70% wool and 30% mohair. I wanted to include mohair for a few reasons: first, mohair fibres have a natural strength that militates against the fragility which can sometimes be a feature of single-ply woollen-spun yarns; second, mohair lends the finished fabric a characteristic halo that’s ideally suited to Fairisle knitting and which recalls the halo of Shetland and Icelandic yarns; and finally, mohair fibre has a really rich, luminous quality when dyed which, to my mind, significantly enhances the pleasing complexity of the tweed. Like all fibres supplied to Donegal Yarns, those that make up Milarrochy Tweed have been carefully ethically sourced (from non-mulesed sheep in the case of the wool) and you’ll find that, like other yarns produced in this mill, that when knitted up and blocked, Milarrochy Tweed blooms into a uniquely soft, warm fabric. I can now also announce that all options of the yarn / pattern / book club associated with Milarrochy Tweed will go on sale, next Friday, November 17th – and will let you know more details of what that involves in the next post. Wonderful tour. And now, I can recall the colors in my mind when I read the names. Correct pronunciation my be a different matter. May we have a wee tutorial for that? I’m happy that I can say Buachaille with your previous instruction. All three parts of this have been really interesting. I have seen behind the scenes at Koigu Yarns here in Ontario but their process takes spun merino yarn and dying, painting and drying it then making it up into skeins. Your process involves so much more. I didn’t know that balling it was a specialty of sorts. That Horseback shade is awesome…Loved the post.. These are such beautiful colours, and the names are ideal; Ardlui, as you probably know, is an Anglicised version of Àird Laoigh, or ‘height of the calf’ or young deer. It has its own entry in the Gaelic place-names of Scotland database here: https://www.ainmean-aite.scot/placename/ardlui/. Very much looking forward to the patterns you’ve designed for this…! These shades are so evocative, with their names and descriptions, it will be real fun to mske combinations with them. I just love your color palette and the way you named your yarn I can’t wait for the club . Well you did it again! The colors are beautiful and you have just given me one more reason to look forward to Friday. The anticipation is killing me. Hurrah! More Kate wondrousness! I can’t believe I used that word in an email. Really looking forward to Friday. Thank you, Kate and your lovely team, again. Wow. Just wow. Absolutely amazing colors. I love looking at them. Can’t wait until Friday! I love them all! – Bruce the Dog included! Hard to resist since it is also the color of our dog, who looks a lot like Bruce – Raya color. I love the Bruce shade! Thank you, Kate, for being in the world. I cannot wait to knit with your new yarn and read more of your writings. Oh, my goodness, what a spectacular coming out for your tweeds! Bravo, Kate, Tom and Bruce et al! I happened to be watching Campion’s Mystery Mile on DVD today when I stopped to read this latest email. Voila! You mentioned Margery Allingham and Campion! I greatly appreciate how you mix yarn, nature, photography, collecting, creating and literature. And do them justice, too. Thank you for sharing so much of your lives with us. We are enriched by your presence. Millarrochy Tweed, here I come! Just love the wonderful shades and the process you have shared with us. This is a wonderful post! Thank you very much! Fabulous. Bruce, Birkin and Campion are on my list. I can’t wait until next Friday. I hope I don’t miss out as I am at work that day. Gorgeous colours and gorgeous yarn! I adore Bruce :) It’s my birthday next week so I think I may be treating myself to a yarn club present! I am looking forward to knitting with your beautifuly coloured wool. Love all the names you have given your colours. Wow, so wonderful. Thank you for sharing the whole process of this yarn’s creation, from beginning all the way to shade selection. It’s so special to have the story/image behind each shade, in addition to the whole manufacturing process… Garth, Ardlui, Lochan, Gloamin, and Horseback Brown in particular took my breath away. But I do forsee an allover colorwork jumper with all the shades sharing fabric together. Absolutely wonderful creation, I am in awe. Oh, yes! That’s the one that calls to me too! Just glorious. I want to use them all! Yay! This is the moment I’ve been waiting for. They are just beautiful – how lovely to think that these are the colour of my land – longing to knit and wear them. Roll on next Friday. I am returning to a long lost self when Donegal tweed was my favorite yarn of choice. It’s shown up in my weaving time and again. I’ve loved your posts. Thanks for letting us traverse the landscape with you through your writing and photographs. There’s the artist in all of us, connecting hand to eye to heart. Wow. You did it again! As a very slow knitter I never thought I would ever knit with a “thin” (= lighter than chunky) yarn until you came with Buachaille, and now (after several Buachaille projects) I´m considering knitting with an even thinner one just because of the colours. 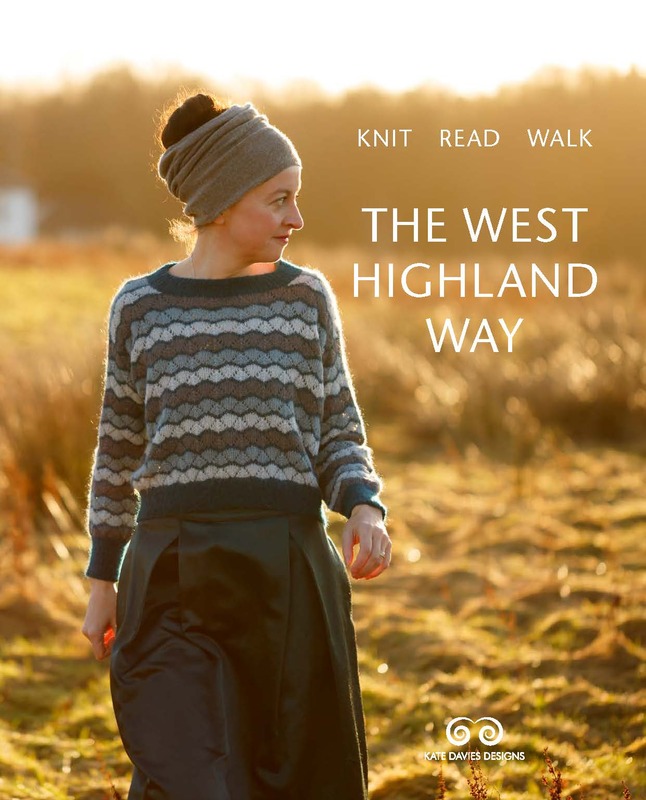 To knit myself a real Scottish landscape is so tempting! I can´t wait to see your club designs. Also, thank you for letting us see a bit of your “behind the scenes” designer thoughts, this is my favourite kind of post. 17th November…only 7 more sleeps! Brilliant post Kate, the amount of effort you’ve put into the new yarn is evident. Love the “Bruce” Bravo Bruce for your yarn colour. Such wonderful colours your Mistress has created. and in such a beautiful place in the world! I LOVE those shades! Your other line was so beautiful, but just a tad more “bright and bold” than my personal preferences. The tweed is so lovely, subtle, and understated. Perfect! Thank you for creating such a well-rounded, balanced and interrelated palette. And in tweed! Putting a little mohair in was clever. After umpteen years of knitting and finally starting to write patterns (slowly), I am coming back around to looking at yarns where there is a balanced range that all works well together which enhances choice within that particular yarn brand (I love hand dyed yarn, just don’t gravitate to them like I used to). Also, a yarn and colors that will be reliably available. I can’t stress this enough. I so appreciate the thought that has gone into your new line of yarn (as with Buachaille). I look forward to knitting with it in near future :-) !! Wow, Kate, this post took a long time to read because I could not stop looking at the colors and mentally trying different combinations. So arresting! Your descriptions of the colors and why you chose a particular name sparked many memory-rich thoughts. I spent much of my childhood summers on the shores of a lake in northern Minnesota just a few dozen miles from the US/Canadian border. The yarns, especially Birkin, Horseback Brown, and Lochan are very reminiscent of the landscape I spent so much time in. Thanks so much for an exquisite post. 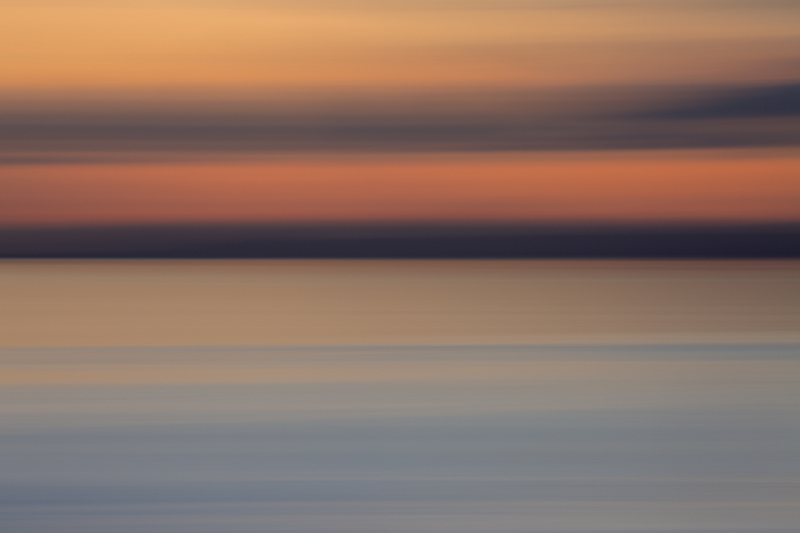 Imaginative and evocative are the first words that come to mind when I look at the palette. I recently enjoyed a visit to Scotland. These colors brought so many vivid memories to the forefront of my mind. Bruce! What a sweet face. I love labs so much. That Stockiemuir color! We passed such a color on LEJOG in July. We were near Dalnavie on our way to Alness. I don’t get off my bike often, but I did for that color. Exquisite, all of them. Beautiful in every possible way: colors, evocations, poetry and links to locations. If only one could knit everything! Absolutely love the palette. Can’t wait to get my needles on it. Lovely colours and very suitable names! Bruce is my favorite. Honestly, for the real life Bruce — what do you do to keep his coat so shiny and healthy?! Another Susan here echoing this thought – Bruce rocks! I love Kate’s work but Bruce warms my heart. I adore this palette Kate and can’t wait to get my hands on some! Oops bang goes the – don’t buy any more yarn till you’ve finished at least one project! Wow! Your thoughtful creation of shades will make knitting with them a joyful experience. I look forward to the tams and mitts ….. I am looking forward to your new yarn! But even more, I am very, very happy to know your mill is ethical and sources from nonmulesed sheep. Life is tough enough for animals in this world, so there is no need to make it worth. Thanks for that. Oh Kate it’s delicious!!! You have 3 shades there that are my absolute favourite!! When when when can I order? I am in the last stretch of the arms and body for a port Charlotte and now I need to reconsider my bobble colours! It’s all perfect, can’t wait! Really looking forward to the patterns to go with this gorgeous yarn, and any books about the journey, too. Oh my I do love the Scottish words you used to name your yarn, ye ken? They are stunning! I’m sure it’s an incredibly difficult task to choose just what you want but you picked an amazing group. I am so excited about this yarn, and I am already looking forward to the day when your yarn empire has 100 shades! Brava, Kate and team!! At last! A color for our beloved Bruce, as well as a purple to use to knit thistles with greens for leaves against a pale blue sky. All the colors are beautiful, Kate, and thanks for giving us your thoughts behind all the color choices. Forward to the club news! As beautiful as I anticipated – in every color. Looking forward to seeing what you’ve designed for it. Bruce, the honor is well deserved. PS: I love mohair and mohair-blend yarns, so your choice of fiber content makes me even happier. Ohhh, I feel like I’ve just been on a short hike with you in Scotland (Bruce along,too! ), wonderful job! This is so much better than all the “Black Friday” sale noise that is going on in the States right now. Patiently waiting on pins and needles for next week. These are absolutely glorious. 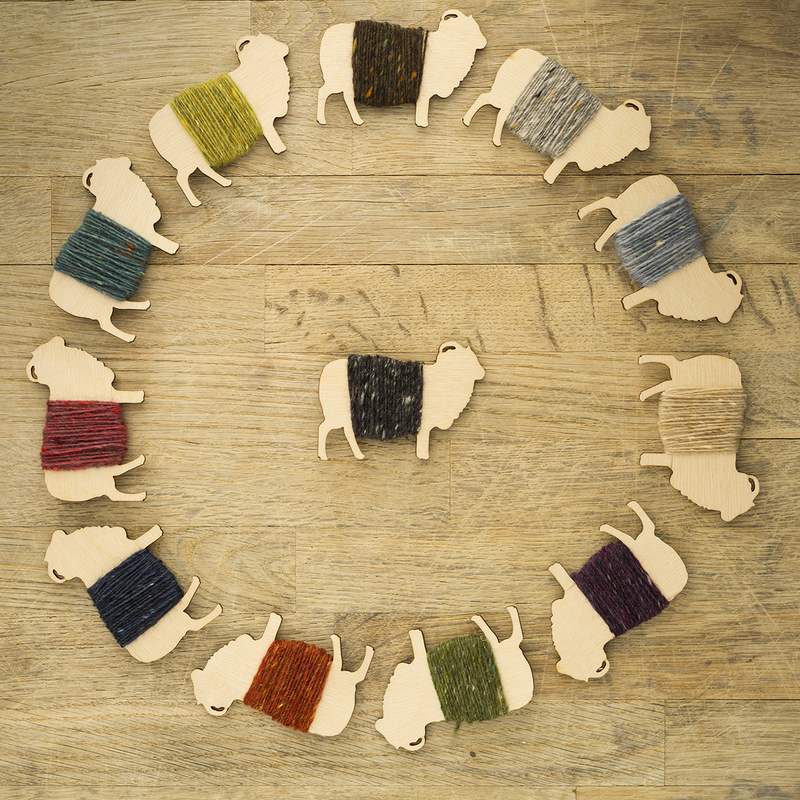 Will you be making some of these available as kits for your lovely colourwork designs? I would trust your eye on the combinations, rather than mine on the screen. And, I am assuming these will be appropriate for some of your other lovely patters I’ve yearned to start over the years. Oh my,these are beautiful! Can’t wait to get my hands on them! Bruce is still an adorable dog, and a fitting name to a wonderful yarn! I love tweedy yarns and yours are so beautiful. So interesting to read about how you developed your palette. Will the yarn be available in the US? Another wonderful yarn! I can’t wait to try it and of course Bruce is a favorite!! I love the new yarn. Lots of depth in the yarn and the colors. I can see buying plenty of the shades for my color work creations. It is The mohair that really makes these yarns pop. Thank you, Kate, for considering the knitter who always substitutes/adds colors when she dives into a project. Often I find myself mixing yarns to get the colors I need… resulting in a fabric with texture difference that can be irksome. Je vous lis en anglais mais ecris en francais…! Accepteriez vous une commande pour la France ? Les coloris de vos laines sont magnifiques et vos propos egalement. Par ailleurs, ou avez vous trouve la robe gris-bleu avec l imprime d insecte, fourmi ?? These are all gorgeous! Thank you for such a thoughtful post. I’d wondered how designers come up with a palette of color. I like this concept of tonal consonance. I’ll be traveling Friday, but say a spot for me! Looking forward to this new adventure!! Such lovely colors and poetic names to go with them. I love them all…and I want them all !! I love all those shades, and one named for Bruce too! I love every single one. They are just gorgeous. You’re a genius, Kate! gorgeous! Would expect nothing less from you, Kate! BRAVO – will look forward to getting my hands on some soon! Bruce gets his own shade! Hurrah! And congratulations , Kate, on the creation of another wonderful product.